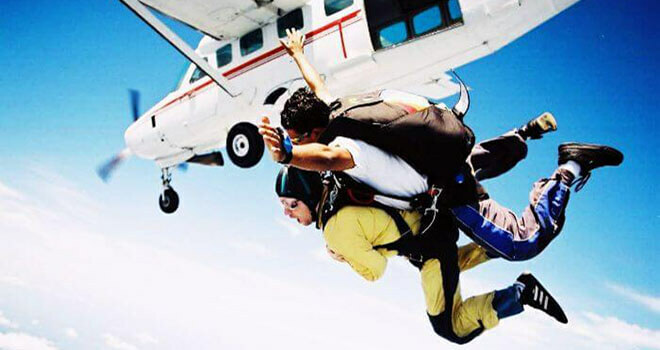 Enjoy the thrill of free fall from 3000m height. Experience about 40 seconds of free fall followed by a 5 minutes fly under canopy. Professional instructor will be with you from a moment you get on an aircraft until you land on a ground, so all you need to do – enjoy the moment and smile for a video and photos. 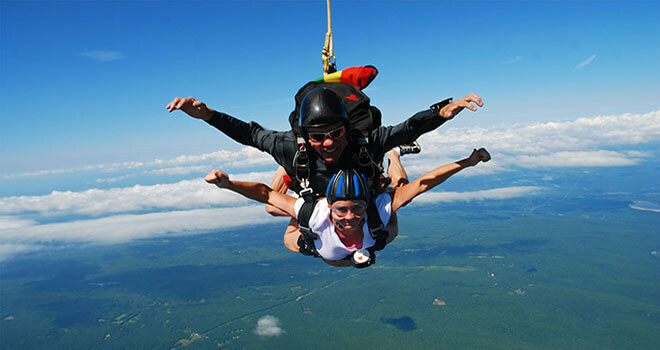 You will be picked up from your hotel and driven to Radviliškis district (the Northern part of Lithuania) where the Tandem Skydive takes place. You have to take a passport with you, since we will cross Latvia-Lithuania state border. After arriving at the airport, you`ll have a short (about 15 minutes) tandem briefing. Then you will get all necessary equipment and with An-2 or Cessna 182P aircraft you will reach 3000 meters altitude. 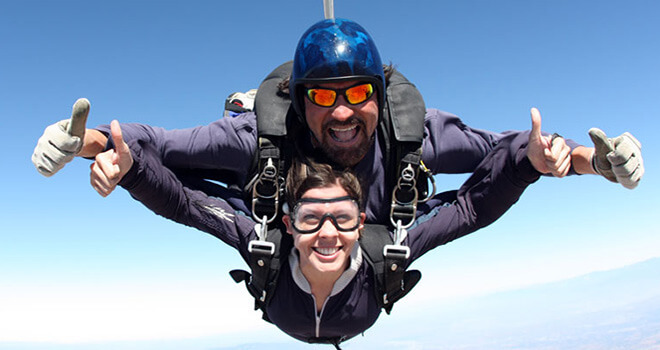 In this height you together with your tandem instructor will exit the plane and experience about 40 seconds of free fall. At the altitude of 1500 meters your instructor will deploy the parachute and about 5 minutes you will fly under canopy untill you reach the ground safely. * There is a weight limit. You have to weigh less than 100 kilograms. 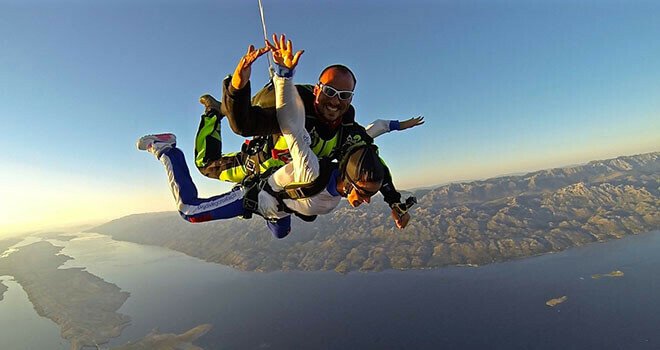 •	Your skydiving experience ideally takes only a few hours and we book staggered arrival times in order to reduce waiting times as much as possible. However we cannot account for weather or other delays so please do not be in a rush and allow yourself the whole day to enjoy this unique experience. •	Zero Tolerance: Absolutely no alcohol and/or drugs in your system 24 hours before making a jump. •	Wear athletic and comfortable clothes, sneakers/sport shoes. •	Sometimes we wait for weather which is suitable for jumps, so you should take snacks and soft drinks.